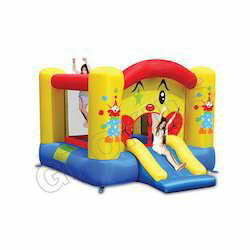 Leading Exporter of castle bouncer and ballpit, mega slide combo, bubble 4 in 1 play centre, jungle fun multi play station, 13 in 1 bouncy castle and adventure combo multi play station from New Delhi. 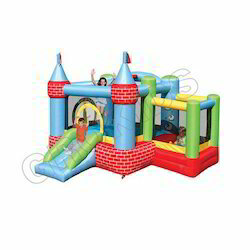 We are recognized as a quality-centric organization, engaged in offering an extensive array of Castle Bouncer And Ballpit. The offered products are crafted using fine quality material & modern techniques as per the trends of market. Also, offered product is accessible in numerous sizes, colors & designs as per the requirements of customers. 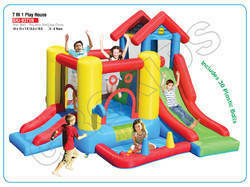 The offered product will give your kids loads of fun during parties or any free time. 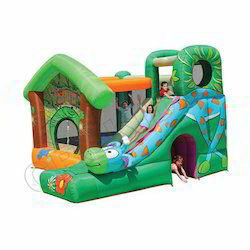 We feel immensely proud to provide our clients an excellent quality range of Mega Slide Combo. 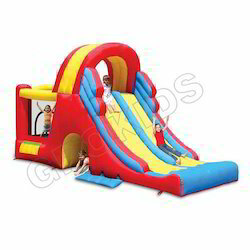 The offered mega slide combo is designed by the specialists while keep in mind the safety of the children. This mega slide combo is inspected on different quality parameters by our skilled craftsman assuring its leak proof nature. 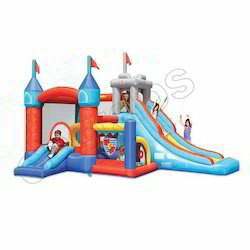 Our valuable clients can avail this mega slide combo from us at affordable rates. 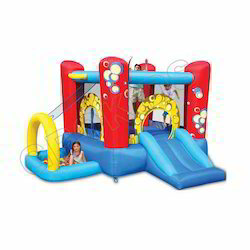 Running with an objective to accomplish diversified demands of clients, we are offering Bubble 4 In 1 Play center. 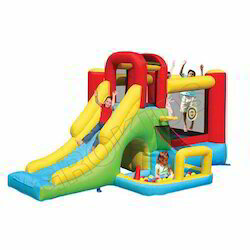 Ideal for children parties, christenings, school fetes, weddings or any family or company events. As per the details laid down by our clients, this play center is available in different designs, sizes, colors and other customized options. Our play center has the capacity to accommodate more than five kids at a time. Looking for Inflatable Series ?